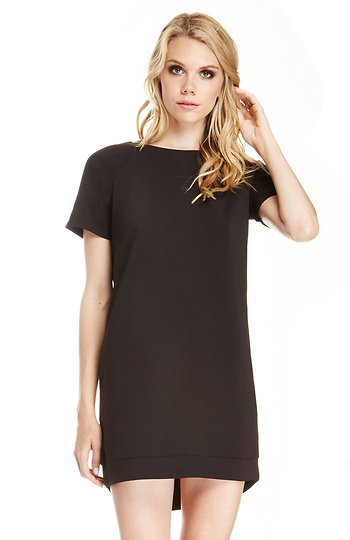 Classic and sophisticated, you are, when wearing our Ronson Zippered Shift Dress featuring a high neck, short sleeves, boxy silhouette, and a back zipper with hook and eye closure. Perfect your shape with our Strapless Nylon Slip. Style with a faux leather loafer and gold watch for a classy office look. Model Measurements: Height: 5’10 / Bust: 32A / Waist: 24 in. / Hip: 35 in. Simple. Versital. Comfortable. Adorable. It's a nice mid-weight that can be worn cross-season, with the right layers and accessories.